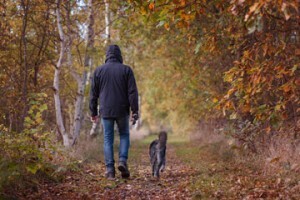 During their stay at Dunston Lodge Boarding Kennels your dog will be walked twice a day in our own private woodlands adjoining our kennels. 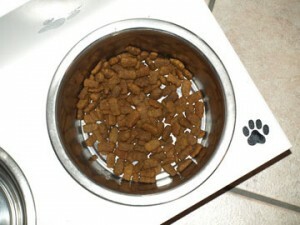 We feed your dog the same food as they would get at home. Our kitchen stocks all main brands of dog food, including Pedigree, Hills Science Plan, Burns, James Well-beloved and Bakers Complete. We can also provide fresh meats, chicken and rice etc on request. If your dog has a specific diet for that rounder than desired tummy, needs feeding up or for any medical condition please tell us and we will be happy to ensure your requirements are met. All dogs in our care are given a full daily health check , with their eyes, ears, bum, tum and back being checked, and cleaned when necessary. Our staff are able to administer any special treatments, as requested. All dogs are bathed and groomed during their stay with us in our special grooming room. On the day your dog goes home they will be clean and groomed and ready for that big “welcome home” hug. When your dog first comes to stay at Dunston Lodge Boarding Kennels we will take all your dog’s details including their dietary requirements, details of your vet, a contact while you are away, etc. All this information is stored on our customer database for future reference. Your dog is fully insured during their stay with us. We have the agreement of a veterinary surgeon to be on call 24 hours a day. A veterinary examination room and isolation block is on site, away from the main building. Our boarding kennel facilities and grounds are monitored by closed circuit TV, and security alarms are in operation. We are able to collect and deliver dogs from anywhere in the UK and locally, including Chesterfield, Sheffield and surrounding areas, so you can rest easy knowing that, after a long journey home, your dog will be brought to you at the arranged time.